According to the Azalea Society of America, more than 10,000 different azalea plants have been registered or named, providing a wide variety of sizes (generally 3 to 6 feet), colors (ranging from white to purple, pink, red, orange and yellow), and bloom times (most in our region bloom from mid-April to mid-May). Although different varieties will produce more blooms than others, most of the blooms on azaleas will appear at the same time and will last about two weeks. 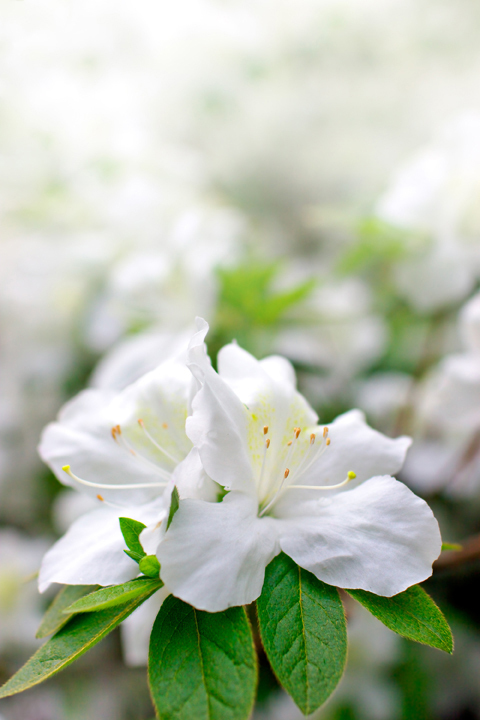 Because azaleas remain relatively pest-free, they can outlive many of their counterpart shrubs. Japan has recorded some of its varieties living hundreds of years. If you were lucky enough like me to purchase a home that already has well-established azaleas, you probably won’t need to do anything more than an annual pruning shortly after it has finished flowering. Wait until after mid-summer, when next spring’s buds will already be set, to prune. According to the United Stated National Arboretum—an azalea hotspot boasting thousands of the popular plants—it is best to remove separate branches back to the area where they join a larger branch. But if the azalea has grown entirely too large for its spot, you can cut the large branches back with no fear; new growth will come from the stubs. In late summer, check the shrub for wilting or dead branches to prune. If you have purchased a newer property or simply want to add some color and larger variety to your garden space, planting anew is easy as well. Many florists now carry potted gift azaleas and these can be easily planted in your yard. Follow the instructions for indoor and outdoor maintenance. Plant azaleas in early spring or early fall. The key is well-drained, loose soil that has plenty of organic matter. If drainage is poor, you can correct the problem or plant them in raised beds. If you aren’t sure about your drainage situation, use this simple test. Dig a hole six inches deep in the desired planting area and fill it with water; if it doesn’t drain out within four hours, you know it isn’t the best spot for your azalea unless you add some drainage tile or plant it in a raised bed. If you need more organic matter, add rotted leaf mold or compost. The soil does not need much preparation, though, because azalea roots lie near the surface, in the top foot of the ground. Although most people think azaleas prefer shade, heavy shade is not ideal. 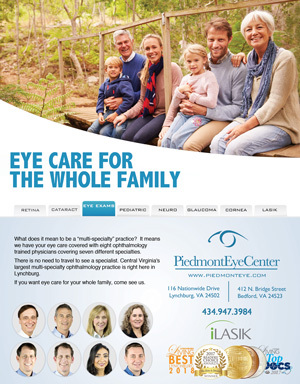 According to the Virginia Cooperative Extension (VCE), a spot with filtered sunlight is best. If an azalea is planted near other tall shrubs or fences that provide a screen from the afternoon sun, it should still thrive. VCE also suggests finding a spot that is protected from the wind. Again, if they are planted near evergreen shrubs or trees to the south or west, they will be protected, and they will also be given a chance to showcase their vibrant flowers against a dense backdrop. The National Arboretum suggests planting under “widely spaced, high-crowned trees,” such as oaks or poplars, because azaleas do not tend to grow well under trees that have dense foliage, such as maples and pines. Once you’ve picked out your azalea, water the container well before planting. Dig a hole twice as large in diameter as the container and a couple of inches shallower in depth. It can be planted a bit higher than ground level, with soil brought up to the top of the root ball, because it will naturally settle, and also because this is a more effective method for planting in the heavy clay soil that we tend to have in our area. It is a good idea to add a few inches of mulch; any type will do, even pine needles, wood chips or leaves. Water it slowly and again the following day. Water at least once a week for several weeks. Although azaleas are among the hardiest shrubs, there are a few culprits that can cause an early demise. 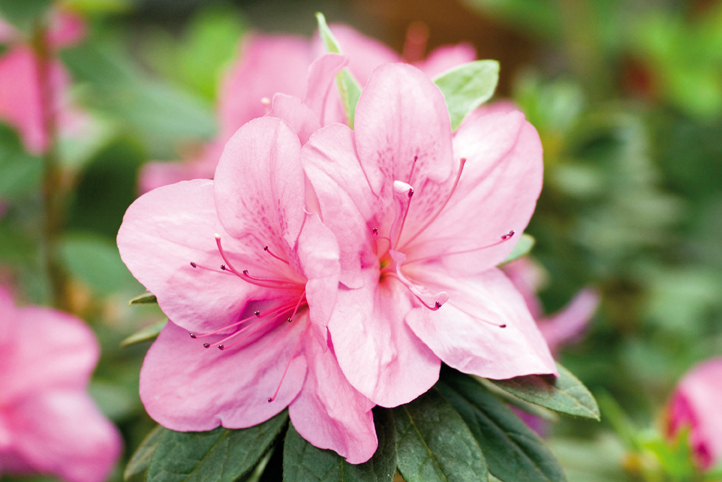 For new azaleas, too much water or poorly drained soil is the most likely cause. For well-established azaleas, those pesky voles can chew near the crown of the plant. But keeping mulch away from the trunk will discourage these critters. Weather can do its job, too. Big fluctuations in temperature can injure the bark, and long drought periods can cause fungal cankers to form on the branches. It is best to prune out these affected branches later in the summer. Azaleas can also suffer from the azalea lace bug, a black bug that likes to hang out underneath the leaves and in some cases cause the foliage to turn white. According to the National Arboretum, the insect reaches its peak in late summer and enjoys doing the most damage in sunny sites (another reason to choose some shade). Insecticidal soap, horticultural oil, or a systemic insecticide can be applied in spring when the first hatchlings are seen. Feeding damage can also be done by caterpillars, although unless there is an unusually large population, they will not kill the plant. Plucking them off is usually effective. Azaleas are not completely immune to plant diseases; the most common occurrence is petal blight. This is when the petals turn brown, soft and mushy shortly after they have opened, and most often this is when the weather is cool and damp. It can be fended off with a fungicidal spray as the buds begin to show color. According to the National Arboretum, if treated at the right time, and if the weather does not get too hot, the blossoms may last as long as three weeks and will fall off the plant instead of turning brown and mushy. You will find many folks who do not have any trouble with their azaleas year to year and for whom even pruning is not absolutely necessary to ensure a delightful annual display. 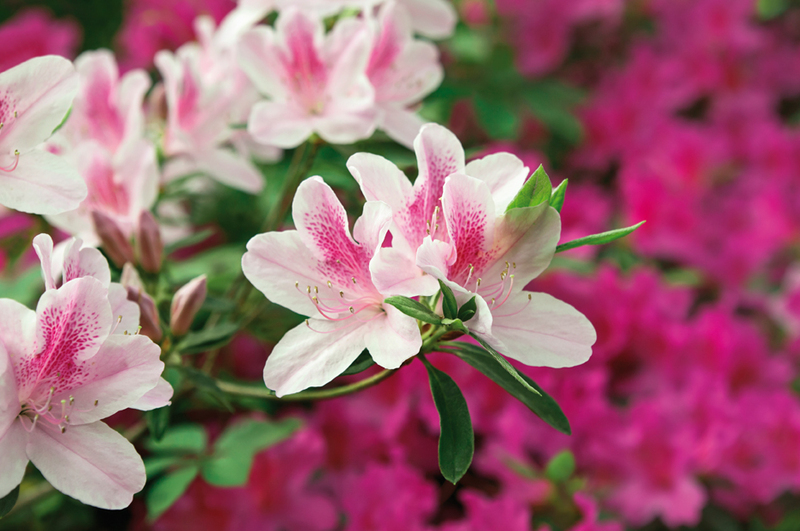 While its beautiful blooms may be the attention-getters, the azalea’s hardiness is its best virtue. Though the azalea has been used for ages as an ornamental shrub near the home or as an accent in a woodland garden, the timeless staple still manages to bring an element of grandeur to the outdoors each spring, continuing to sit on its throne in Central Virginia. Welcome, your Spring Majesty.